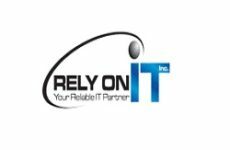 Rely on It Inc your IT company won't talk down to you or confuse you with technical jargon, and we don't make promises we can't keep. Big organizations have huge IT departments to service all the computers and tech in the office. They have the resources to monitor systems night and day, know the company's mission, and goals and can gear IT towards meeting them.